10 super foods that can be considered superfood supplements are the ones that quickly help to replenish a supply of nutrients like the X-factor, glutathione, and important fatty acids into your body. The following 10 super foods will have powerful life-enhancing properties that can give you lots of health benefits. Super foods like organic coconuts come with special fatty acids that will give you immediate energy and help you to burn fat by producing ketones. And some of the most phenomenal super foods are grass fed animal foods. 100% pastured raw animal foods come with some of the most important fat soluble vitamins that you will need to build strong bones. 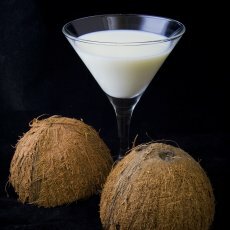 Coconuts were made famous for having MCTs or Medium Chain Triglycerides. MCTs are a type of fatty acid that are metabolized differently by your body. MCTs go straight to your liver from your digestive tract and are used as a quick type of energy source. They are turned into ketone bodies which is a fatty acid energy source. 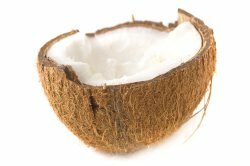 Lauric acid is the most potent medium chain fatty acid or MCT found in coconuts. It's also found abundantly in mother's milk. And it's an anti-microbial powerhouse which helps to boost your immune system. My favorite organic coconut product is actually raw coconut cream because it tastes better than coconut oil and contains more miraculous properties. It is the most powerful solvent for breaking up stored hardening in the body such as stored plague due to cooked fats, cooked cholesterol, and medications according to the late and great Aajonus Vonderplanitz. 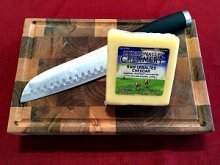 100% grass fed raw butter is a rich source of vitamins A, D, K2, and E.
Raw butter or more specifically raw grass fed butter that comes from cows that eat only green grass will contain a substance called the X-factor or Activator X. The X-factor will be found in super foods like raw grass fed dairy. 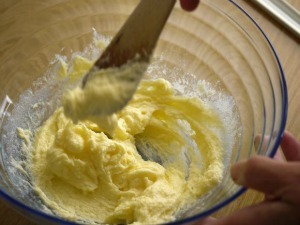 Raw butter is also a rich source of trace minerals such as chromium, manganese, and copper. This potent substance helps you to better assimilate important body building minerals like calcium by putting it in the correct place in your body. Because grass fed raw butter comes with the X-factor it is known to help prevent calcification in your joints and even in your pineal gland. Organic maca powder has been referred to as "Peruvian ginseng", although it is actually not in the same family as ginseng. Maca is a root-like vegetable that is shaped like a turnip and grows in very high altitudes. Organic maca powder has a large amount of minerals and trace minerals. It also comes with amino acids, vitamins, and important fatty acids. Organic maca powder is used to balance hormones in both men and women. And it is also known to increase stamina. Maca root has been used traditionally for centuries in South America to enhance fertility in humans and in animals. It's debatable on whether raw maca is healthier for you than maca that has been cooked. Contrary to what most people were taught - the liver is not really a storage organ for toxins, but a storage organ for many important nutrients. The health benefits of 100% grass fed liver are so incredible that it may qualify as one of the most nutrient dense foods on the planet! Liver is known to really help with Anemia. Liver is so high in vitamin B12, that it's almost like getting a B12 shot! 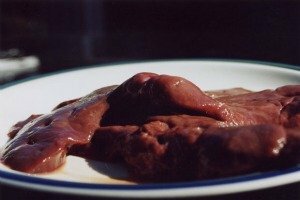 The best quality livers will be from animals that were raised on grass or pasture. The worst livers (possibly toxic) will be from the factory farmed animals. Minerals like iron, zinc, selenium, and copper are also found abundantly in grass fed liver. It is especially high in copper. 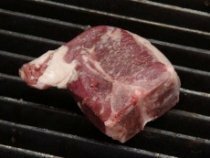 Grass fed liver is a high quality protein source and maybe one of the best sources of vitamin A.
Grass fed liver also comes with the vitamins D and K2 which gives it the X-factor. The X-factor is a magical nutrient discovered by Dr. Weston A. Price. One of the best health benefits of consuming wild caught salmon is that this type of salmon can supply your daily dosage of vitamin D.
A 4 to 6 oz. serving will give you your recommended daily allowance of vitamin D (very few foods can claim this). 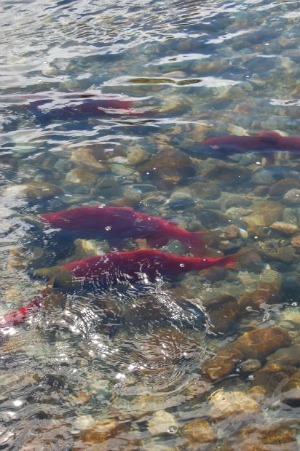 Wild caught salmon contains high quality protein, a unique antioxidant called Astaxanthin, and powerful Omega 3 fatty acids. Wild caught salmon is a great source of vitamin B12 and the mineral selenium. Wild caught salmon is rich in the long-chained Omega 3's called EPA and DHA. EPA and DHA help with the neurotransmitter production of dopamine and serotonin. DHA is a major brain food! Your brain is made primarily of fat and 10 to 15% of it is DHA. For optimal brain structure, your brain depends on a healthy array of fats like DHA. The nutrients found in 100% grass fed raw milk go way beyond just being a source of calcium. 100% Grass fed raw milk contains vitamins A, D, and K2 which gives it the X-factor or Activator X. You'll find powerful antioxidants in grass fed raw milk like Glutathione which acts like the Philosopher's Stone" in your body. Pasteurization of raw milk will decrease the bioactivity of all vitamins, minerals, and amino acids. Will also completely destroy healthy bacteria, enzymes, and Glutathione. Grass fed raw whole milk is rich in enzymes, digestible minerals, B vitamins, and essential fatty acids like CLA & Omega 3s. Grass fed raw milk also contains digestible amino acids and beneficial bacteria. 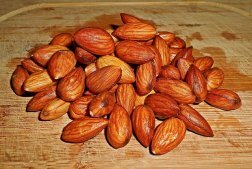 This is one of my favorite super foods and I have found it very effective against preventing cavities and helping with anxiety. Eggs are a source of cholesterol and are abundant in monounsaturated fats. Pastured eggs may even have a decent amount of Omega 3's. 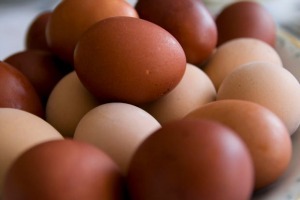 Pastured eggs come with powerful antioxidants like Lutein and Zeaxanthin which helps to build the retina in your eyes. The master detoxifier Glutathione is another powerful antioxidant found in pastured eggs. Pastured eggs or "grass fed" eggs are also a great source of MSM or organic sulfur which also has magical properties. The protein in eggs contain all the essential amino acids in the exact proportions required for the optimal maintenance of your muscle tissue. Eggs are easier to digest as well! Pastured eggs are a great source for vitamins A, D, and K2 (X-factor) which will be found in pastured egg yolks. Pastured eggs will contain important vitamins like vitamin E, vitamin B6, vitamin B12, folate, and choline (newest B vitamin). Pastured eggs are a great source of the mineral selenium. And will also have a good amount of phosphorous, calcium, iron, iodine, copper, sodium, and zinc. "Grass fed" or pastured chickens eat seeds, green plants, worms, and insects. They are not vegetarians as we are being lead to believe. And to get the most nutrition from your pastured eggs, you must not cook them for too long and may have to eat them raw. Otherwise, you will not get a lot of its magical properties. Organic avocados are a good source of vitamins C, E, and B vitamins. Organic avocados are also a good source of magnesium, potassium, manganese, and copper. Most of the fat found in avocados are known as monounsaturated which is considered a "Good Fat". Avocados are a rich source of Oleic acid. Avocados are considered a low glycemic fruit that is also low in fructose. This is an excellent fruit for those on a lower carb diet. 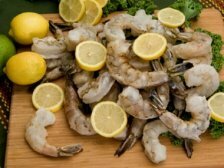 Oleic acid is known to lower LDL or Bad Cholesterol as well as Triglycerides, which are all associated with heart disease. And raise your levels of HDL or Good Cholesterol. Avocados contain antioxidants like Lutein which protects against macular degeneration. 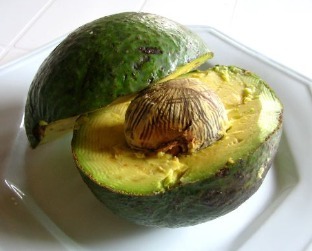 Avocados also have Glutathione - the "Mother" of all antioxidants. The Reishi Mushroom may actually be the real "Magic Mushroom". It is a "supernatural tonic" and is known as a medicinal mushroom. Other names for Reishi Mushroom are Spirit Herb, King of Herbs, Ganoderma Lucidum, and Ling Chi. The Great Protector, God's Herb, and The Mushroom of Immortality are a few more names for this legendary herb. Red Reishi appears to be the best and most potent type of Reishi Mushroom. Reishi has thousands of years of use in the East and has withstood the test of time. In fact, Reishi may be one of the most powerful adaptogenic herbs that has ever existed - meaning is will help bring you into a state of equilibrium or balance. And one of the most important reasons to take Reishi is its affect on your energy system. It has the ability to restore all three types of energy - Jing, Chi, and Shen. Brown flax seeds have been used for food as well as for medicine. Organic brown flax seeds are rich in gel-forming fiber, Omega 3's, and lignans. 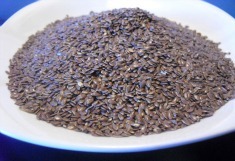 Flax lignans will only be found in whole flax seeds. Flax lignans are known for their incredible antioxidant capabilities and flax seeds contain some of the highest amounts of lignans. Flax lignans are also known for helping with hormone related conditions, hair loss, and cancer. Organic brown flax seeds have a lot of B vitamins. They are also a good source of magnesium, phosphorus, copper, manganese, and selenium. And flax seeds are the richest source of ALA which is an essential Omega 3 fatty acid. Flax seeds contain both Omega 3 and Omega 6 in a ratio of 4 to 1 - in favor of Omega 3's. The oil of flax seeds are used in the Budwig Protocol created by Dr Johanna Budwig who helped numerous people to get well again. The Budwig Protocol has helped cancer, irregular heart beat, arthritis, psoriasis, eczema, diabetes, and ulcers to name a few health problems addressed using this protocol. These are 10 super foods that will give you "super nutrition". I personally consume almost all of these 10 super foods on a regular basis.